We have come a long way since the old bathroom scale and tape measure were our only body composition measurement device. 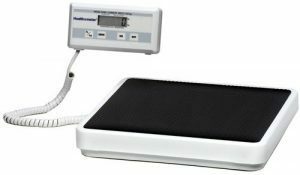 In modern times, accurate body fat scales give readings of weight and body fat. Some WiFi Scales are even able to communicate with your home network. Everyone knows that less body fat will make us look better in our clothes and in the mirror, but a body fat scale could also let us know if we are in danger of future health problems. Finding the best scale for weight loss is very important when trying to loose weight. Fat is needed for us to survive, but too much fat could cause severe health problems. People often find it more convenient to measure their body fat percentage from home. If you purchase the best body fat analyzer, you could make informed decisions to improve your health and quality of life. For those that want accurate weight and fat measurements, plus your Body Mass Index. 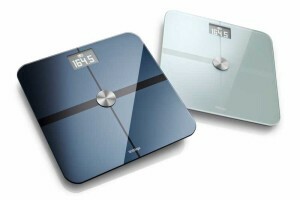 This Withings Scale is a great device to choose. You can choose your correct body type to get more accurate fat reading results. This scale has advanced features to let you be able to monitor air quality. It also uses Gravity Compensation to make sure you are correctly weighing yourself. Another great feature is being able to track your results with a smart phone. With the EatSmart GetFit Digital Body Scale, you will be able to monitor body fat, body water, bone mass and muscle tone quickly and easily using the newest technology. 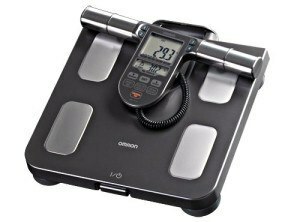 It has an touch screen interface that can automatically identify the correct user once they step on the scale platform. It sends a small low level electric current through your body to get real time information. 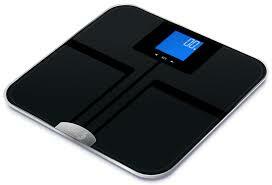 It is one the most user friendly body fat analyzers on the market today. 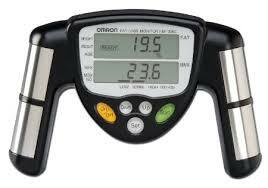 Checking your body mass index and body fat percentage is a breeze with this Omron Fat loss monitor. It has metal strips on the side of the handles similar to the one that you can find on cardio equipment at the gym. The strips sends a very small electrical current (You can’t feel anything) through your body to get your results quickly and easily. This unit is very simple to setup and takes about two seconds to test. With the HBF-514C you can measure seven fitness indicators such as body weight, body age, visceral fat, resting metabolism, body fat percentage, skeletal muscle and BMI. Full Body Sensing is used to obtain more accurate results rather than just using your hands or feel alone. 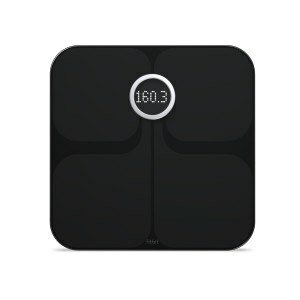 This Body Fat Scale is easy to use, turn the power switch on, choose your profile and step on the platform. This device can be used to store data for up to four people, and the information can be saved for up to 90 days. With the high tech Weight Guru Digital Body Scale, you can sync your results with a smart phone. This was one of the trickiest devices to test. It took a while to get used to all of the features, but once I did it performed flawless. Another great feature is you get a 5 year warranty which is virtually unheard of for Body Fat Analyzers. The low profile, sleek, stylish tempered glass design would look good in almost any bathroom. 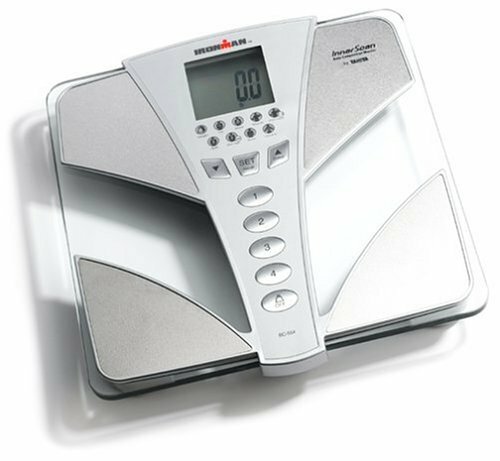 The Tanita BC 554 Ironman is a unique and very accurate body composition monitor. Using advanced Bio-electric Impedance Analysis, it can measure weight, body fat, muscle mass, body water percentage, BMR, metabolic age, bone mass, visceral fat and it can also rates your physique. The muscle mass feature is able to track the weight of muscle that you have in your body. 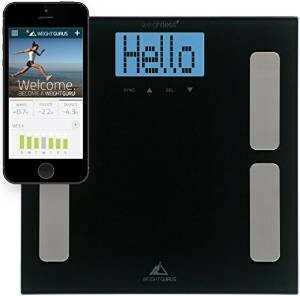 It can track up to four different people, simply program your gender, age, weight and height in the memory and step on the scale – within seconds it provides you with your results on the 2.25 inch LCD Screen. 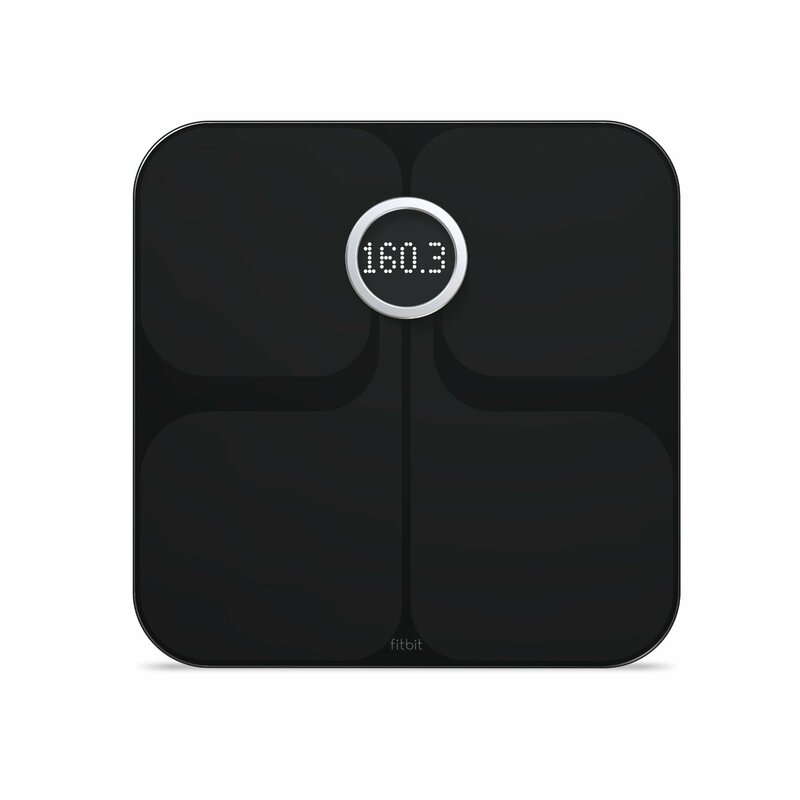 With the Fitbit Aria WiFi Smart Scale, you can accurately track your body fat percentage, weight and body mass index. After the easy wireless setup, it has the ability to sync with your home network so you could upload your stats automatically via WiFi to fitbit.com each time you step on the scale. It automatically recognizes up to 8 different people, sending their stats to separate accounts to be tracked. When beginning an exercise program, you gain muscle while loosing fat. Body Fat Analyzer, you will begin to see consistent results. full of carbs, it will temporarily cause a weight gain. when you are actually loosing body fat. Body fat is the amount of fat that you have in your body. Men, women and children carry different body fat percentages. A competition caliber male body builder who is minimizing body fat percentage could have a percentage down as low as 3-4 percent, while a competition female body builder would only get as low as 8-9 percent. Having a lower body fat percentage does not necessarily mean that the individual is healthier, but it does indicate that the person has a leaner body composition. SO WHATS YOUR OPTIMAL BODY FAT GOAL? If you are interested in getting a six pack abs shoot for 8-11 percent (men) or 15-17 percent (women). For the professional model or swimmer look shoot for 6-8 percent (men) and 13-14 percent (women). Body fat percentage is the amount of body fat on your body…it has nothing to do with the amount of muscle that you have. Therefore, you can have two people with the exact same amount of body fat percentage that look COMPLETELY different from one another depending on height, muscle mass and body composition. 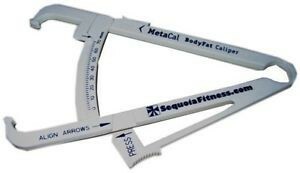 A hand held body fat caliper is a device used to measure subcutaneous fat. Body size and skinfold thickness is used in a formula to determine body fat percentage. The most common equation for skinfold measurements was created for adult females and males by Jackson and Pollock. They are most commonly used with people who have the average amount of body fat. This formula tends to be less correct with the super skinny, morbidly obese, or the young or elderly. Other equations has been introduced for the rest of the population. Some overweight individuals may find it more convenient to purchase a larger weight scale to measure their progress. The main reason skin fold measurements are less accurate is usually caused by the person who is performing the test. Performing accurate skinfold measurements should be more than pinching the skin randomly somewhere and hoping for the best result. There are certain areas on the body that measurements should be taken. You should observe the body to determine the correct measurement site. Then you should grab the skin with your thumb and forefinger about 0.5 inches away from the site following the natural fold of the skin. Raise the skin up from the body, engage the calipers and wait for 5 seconds. Fat moves around so taking reading before 5 seconds could affect the outcome. ARE THERE OTHER WAYS OF MEASURING BODY FAT? The DEXA (duel-energy X-ray absorptiometry) will give the best estimate of lean body mass distribution, body composition and fat level in in the entire body. It will give an detailed overview of regional bone density, fat mass and lean body mass. One down side to the process is that it is very expensive to get done. If you are looking to get one done, most colleges with exercise and physiology programs can do them. If you don’t live by a university that has one, some healthcare facilities have them because they are also used for measuring bone mineral density. Men who have a body fat percentage over 20 percent and 30 percent for women is considered high, according to the Mayo Clinic. If you want to exclude yourself from these stats and decrease your body fat percentage, you should add more activity to your daily routine and improve your eating habits. When you eat out at restaurants you should carefully look over the menu for the healthiest choice possible. Choose foods that are baked, boiled or broiled. When all possible, avoid excess dressings and sauces. You should add foods to your diet that have low energy density. These foods include fruits and veggies, lean meats, whole grains and fish. Cut out as much junk food as possible. You may want too look into wearing a waist trimmer belt when working out. Some people have reported increased fat burning and added lower back and abdominal support when wearing one. Adding a full glass of water should be consumed with every meal to fill you up and hydrate you. It is recommend to skip drinks that have high calories and added sugars that have no nutritional value. Another recent trend that has been growing in popularity is to wear weighted clothing. You can add resistance to your body with well distributed weights in the form of vests, shirts, belts, and other areas. When you loose a significant amount of body fat, often people wonder if it makes them feel like they are the same person. Some say they they feel like a completely different person when looking in the mirror and going through old things in the closet. And, some wonder how they were ever was the size they were before the fat was lost. Still, others look at themselves in the mirror and see the same person, and only realize they have dropped a lot of weight when family or co-workers compliment them on how good they look. People with whom we are close sometimes will have different thoughts on this subject. On one side, you will have those that will suggest that we are the same, and the only thing that has changed is the shape of our bodies. While others say that the shape of our bodies is not the only thing that has changed. They will often suggest that we do not look or act like the person that we where before. You will notice that some of your friends and family who noticed you dropping fat will see it at as a negative. Because they will feel that since you have lost so much weight, you will not be able to participate with them in drinking and over indulging in the wrong types of food like you did before. Of course, you still should have a good time when you are out enjoying yourself. But, it is important not to fall back in the same dangerous habits that you had before you dropped the weight. you on how great you look. Last, but not least, you will notice how much easier it is to fit into amusement park rides, airplane seats and stadium seating than it was before. It is important that once you get down to your goal weight, you continue to do the things that helped you drop the fat in the first place. There will always be holidays and family gatherings that will get you off track. We are all human and we can not just stay locked up in our homes all day while the people that we love are out having a great time. But, it is important that once the activity is over, you get back to the same healthy habits that helped you change your life and reach your weight loss goals.